Good Morning. Thank You friends and viewers. 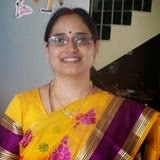 Happy announce to my friends from now onwards my blog name is changed to easyvegrecipes.com. 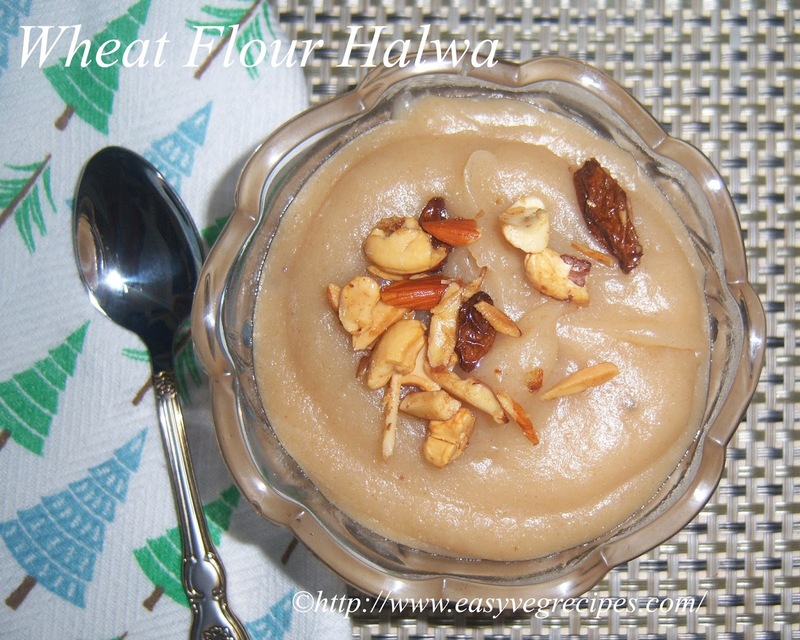 Today I will post how to make wheat flour halwa recipe. Wheat flour halwa is a very popular sweet made in North India. Before knowing about this dish I had a doubt that we South Indian give smoothly cooked and smashed rice to toddlers as the staple food. But what kind of food will be given to North Indian toddlers as roti is their staple food, but they cannot chew it. I asked one of my Punjabi friends, she told me about this dish and also said that they make a roti especially for them. I made this as soon as returned home and liked it very much. It can be made anytime and very easy to make. It is good for kids during the winter season. The ghee and wheat flour generates heat and keeps the body warm. Wheat Flour Halwa -- sweet made with wheat flour and can be made any time. Heat ghee in a pan, roast cashew nuts and raisins. Keep aside. Again heat ghee in the same pan and fry wheat flour till the aroma comes out. Fry the wheat flour till the colour of it changes to little brown. Keep it aside. In the same pan, add water and milk. Let it boil. When the milk and water starts boiling add sugar. Let the sugar dissolves. Lower the flame, slowly add wheat flour to it, stirring continuously so that no lumps formed. Let it cook for a while in the low flame only, stirring ocassionally. Add ghee and mix it well. Allow this to cook till the ghee oozes. Cook this only in low flame. Add already fried cashewnuts and raisins. Switch off the flame and serve it hot or warm. Serve hot wheat flour halwa to every one, especially kids. For more sweets recipe click here.Thank you for visiting my blog. Hope you liked all my recipes. Any feedback and comments are appreciated.